Getting high call quality is not something that just happens on its own. We help all sorts of companies to optimize their voice telephone quality and reliability: whether you have only one office network or multiple offices and call centers across the world, there is particular expertise needed to get really great call quality. When you also have telephone numbers in various countries and over a number of telecoms providers, then you add another dimension to the problem. In this post, we will go through the 6 factors that determine your VoIP call quality. (1) The quality and location of the application hosting that processes decisions made in IVR or based on call events will clearly have some impact on latency. As volumes and complexity increase, this can start to have a large impact particularly for real-time actions, like pushing data to a cloud contact center employee with a call. (2) Far more significant though is factor number two: the quality and location of the media channel and signaling hosting for telephony. If the employees are connected to SIP registrations on SIP proxies and RTP media channels that are far away in the global network, then this will inevitably have a marked impact on the quality of calls. Delays will occur and audio quality will be impacted. Employees and end-users will perceive calls as being bad experiences. (3) The quality of telecoms routes is also a major source of latency and quality issues. Looking at inbound first, if you purchase telephone numbers that are routed in a network that is far (in ping time and number of hops) from your consumers and your call processing platform, then you cannot avoid problems. Similarly, if you route outbound calls through termination networks that are not optimized then you will also have calls of poor quality. We monitor VoIP telephone quality on over 40 carriers and 300 service providers and the differences are immense. For a business, cheap international dialing plans are not an option. We route only on the top 4 to 10 carriers in each territory. (4) ISP/data/internet of contact center. The last mile of the internet connection to your contact center or offices also has a big impact. In particular, if you are on a part of the internet network that does not offer high bandwidth symmetric connections, then this can affect call quality. 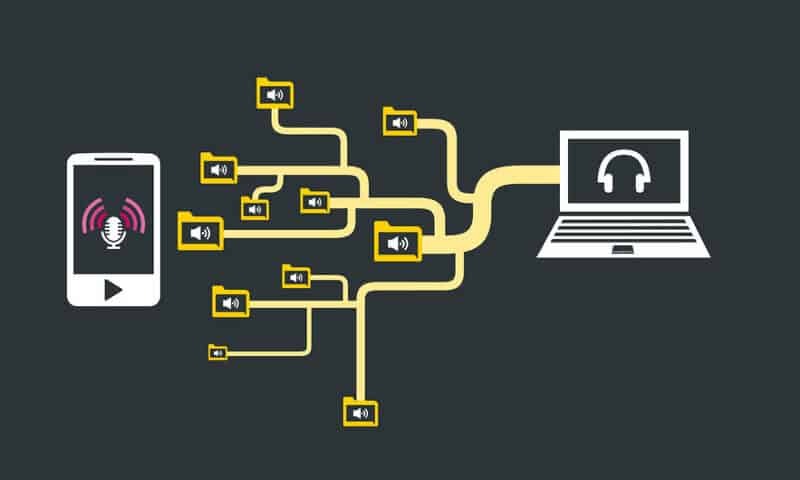 It is vital to ensure that you have sufficient upload and download bandwidth that is actually available to you – calls are two way highly real-time media streams with two way IP signaling overhead: upload is just as important as download. (5) Then there is the last 100 meters of your internal network. The more dedicated and optimized the traffic across your network to phone devices, the better the VoIP quality. Almost all businesses need to put a little effort into optimizing their network for voice. We frequently help companies to do this. It is absolutely vital to get the planning, technical design and testing of your network right. The challenges are different for call centers compared to unified communications deployments but in both cases, controlling and optimizing your network is one of the major determinants of success. (6) The choice of phone devices will also have a huge impact on call quality. Across our customer deployments in all kinds of industries and situations, we have assessed the different kinds of phone device deployments that make sense for different circumstances. Our approach is to help customers find the right device types for them. So we enable you to connect almost any phone device or softphone to our platform. With all these factors capable of significantly affecting the VoIP calls quality over your inbound and outbound routes, finding the right solution is a matter of analysis and balance across all the stages of a call’s path through the networks. This is why we engage customers, listen and work hard at designing and delivering the highest possible performance. When it comes to VoIP call quality, every one of these factors matter – getting high quality is not something you can leave to chance.